How To Make Money Online – 10 best ways for doing it! How to make money online – this question is one of the most important questions of beginner’s entrepreneurs or bloggers. Basing on my almost five years of experience as an online entrepreneur, I’ll show you 10 ways to make money online – 9 established and very useful and one very “hot” and new – Google Affiliate Ads for bloggers. Each of these points may be implemented successfully by you – it’s not black magic or something for “selected”. Of course there is a lot of work with all of them, and at these days your online activities needs a lot of time and consistency (for example my first website about financial products needed almost 2 years to become profitable). 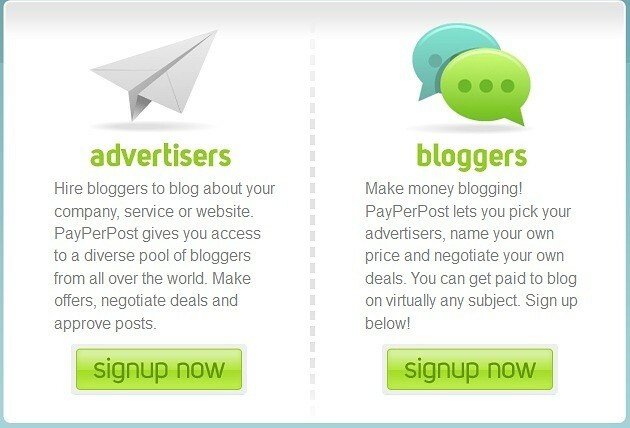 The easiest way for monetizing your blog or site is by advertising. There are a lot of possibilities of it, in almost every possible category and topic. There is a lot of types of online advertisement. Some of them are mixture or different types. This method is very simple – you earn money, when someone click on ads on your site. Firstly of course you must sign in into one or more of ads networks. Most popular service provider for this type of ads is Google AdSense. It’s accessible for everyone, it’s easy to set up and start earning a lot of money. But in some business areas, there is to less of advertisers, and your earnings may be very little. In this case, you may choose, for example, Chitika instead. Some ads networks are specialized in one type of medium. For example Google Adsense is contextual network, with almost all types of ads (at this time without intext ads). If you want to use intext ads on your side, Kontera is for you. When your site or blog has a big traffic, is in specific niche, or has great content, you may try to sell ad space by your own. Of course looking for someone, who want to advert directly on your site isn’t easy and quick job. It’s more engaging and time consuming. But on the other hand – it’s more profitable than participating in ads networks. See my advertising page here. This type of making money is accounted in CPA (Cost per Action) model. And action, in most cases, is defined as a sell. Instead of marketing someone else’s products, services or websites, you can earn money selling your own product. In most cases it’s more profitable for you, than showing advertises or even selling someone’s products. But of course there is also the other side of the coin – you must spend time not only on promoting, but also on preparing, updating and supporting your product or service. Applications for PCs, iPhones, tablets, etc. For some money makers this is the most important stream of their incomes. They set up tens or hundreds of mini sites, advertise them, and are earning a lot of money from them. Earnings from single site are very small – it may be for example one dollar a day. But if you have for example 200 of minisites, you earn about 200 $ a day. Monthly it’s 6 000$ – it’s not to be sneezed at! If you are a good writer and like preparing reviews of products or other things, you may try to make it for money! If you have an established opinion as an Expert in your field, you can stay Online Consultant. Of course you must have very good reputation in your area, and have some teaching skills. You will be paid for consultation, which means people will pay you for your extraordinary knowledge and creative ideas. Most often online consultants are paid per hours (between 10$ and 100$), but most recognized experts will charge you even 1 000$ pro one hour! I don’t recommend this method, if you are a beginner blogger, specialist or entrepreneur. But if you want to try it, you must start building your credibility and reputation as soon as possible! It’s very similar way of earning money online to being online consultant – it’s basing on your (or someone else, who prepaid excellent material for your site) reputation and knowledge. But as opposed to be online consultant, you share your knowledge and experience with more than one man at one time. What’s more, you produce almost all material for your members before starting this type of website. If you have thousands (or well-targeted hundreds) of subscribers on your email list, you can try to monetize it. Lot of companies, small businesses and even bloggers live basing on their email list. There is a lot of other ways of monetizing your email list, but there is also one, and only one thing, you should never send to your subscribers – SPAM! To get started earning money with this program, you need only active AdSense account, and active blog on Blogger. If your blog category is adequate for advertisers, a new widget “Advertiser Products” will appear on your Earning Tab, where you can choose proper affiliate ad. It can be text link, banner or even product image. More about it you can read here. Unfortunatelly I’m not US blogger, so I couldn’t tell you, if it’s profitable or not. 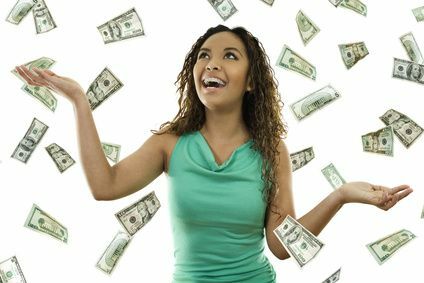 There is only one more thing, which you must know before putting some points from the list into live – there is no passive income at all, and earning money without a lot of work is, in most cases, impossible. So, don’t be lazy and go blogging! And what are your favorite ways to make money online? Please share them with us! Disclosure – please note, that some of the links above are affiliate links and I earn a commission, when you buy something via them. I have read some excellent stuff here. Certainly price bookmarking for revisiting. I surprise how much attempt you set to make one of these fantastic informative website. I have been exploring for a little bit for any high-quality articles or weblog posts in this kind of space . Exploring in Yahoo I at last stumbled upon this web site. Studying this info So i am glad to express that I’ve an incredibly just right uncanny feeling I discovered exactly what I needed. I such a lot no doubt will make sure to don?t overlook this site and provides it a glance regularly. thanks for sharing all these good ways to make money online. Hey Eric, which network do you recommend to join among these? it really depends on the number of pageviews of your website. Many of the networks I mentioned have stricly rules while accepting publishers in their network. I think you should check your stats and then see which one can accept you. These are really positive ways of making money from website. Does Google affiliate ad works for WordPress users? The first and second ways are always the easiest ways to make money online, but selling your own product is the most profitable among them. You will receive almost 100% of the revenue that you earned from your products. Anyway, beginners should start with PPC and affiliate marketing before trying out the harder methods! Making money on Internet may become a good idea, really. There are various advertising networks become helpful to you earning money online. So many ways to earn money. I wish I could use Kontrera. It is not against AdSense? I noticed that when I had infolinks, I no longer received paid reviews from Sponsored reviews, Review Me, and other sites. What are your thoughts on these? Thanks. Hi Chris, I’ve definitely found this post helpful! Especially monetizing your list & becoming an Online Consultant, sometimes we as entrepreneurs can underestimate ourselves whenever it comes down to really making the money because we really don’t feel like we’re good enough or we feel like we don’t know enough. But it’s just as you mentioned here don’t offer to do something that you know you cannot do instead go with the knowledge & skills that you already have, offer your services in that field & build a business from it. Great options to make make money online. Thanks for sharing them! This is nice Chris. You really have provided the best ways to make money online. I know every method is effective. Glad I’ve found this blog. You have describe some very nice and interesting ways of earning money online. I am exploring new ones and hopefully to earn well in the future. These are all great ideas. I haven’t ever really thought about online consulting. I think that I’ll give that a try. Thanks for the motivation. I think paid tweets, data entry or Squiddo’s Amazon model can also be a good source of online income, but there is no such thing called, free lunch exists. Thanks for sharing such a nice and knowledgable article. I think giving out some extra values for your readers and selling a related product is the best idea. I’m trying to get my traffic up to 800-1,000 unique visitors a day. Then I will monetize. It’s coming. I hope blogging is not seasonal. I plan to write more this summer and promote, promote, promote. I’m expecting that growth explosion. Don’t you just love the eagerness of a newbie. lol! I am so glad I had no idea of how much work it takes when I started blogging. There is a lot of programs to make money online, Thanks for sharing this list. I didn’t about Google Affiliate Ads for bloggers program, hopefully it will be expanded to other platforms. Thanks for sharing all these great ways of money making.. I totally agree with Qasim about online money making programs. You can also make money with reading online emails. But Google Affiliate Ads only for bloggers program. It doesn’t make any sense till yet! Is there any chance available to expand this program with all other formats?? Waiting for your precious reply! You talked about “visit this site (owned by Pat Flynn) about Niche Site Duel” but there is NO link there. Anyway, I think some ideas are worth trying such as Google Affiliate Ads, whch is new for me.